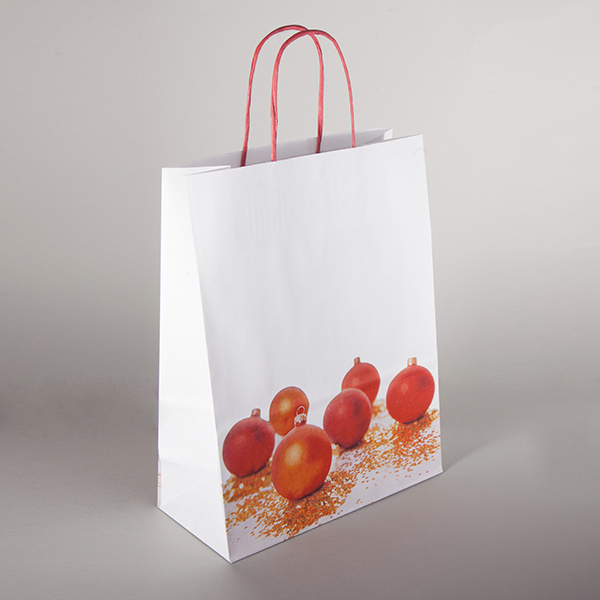 Our best selling Bauble Paper Carrier bag with matching red twisted handles is of an extremely high quality and an outstanding value for money. 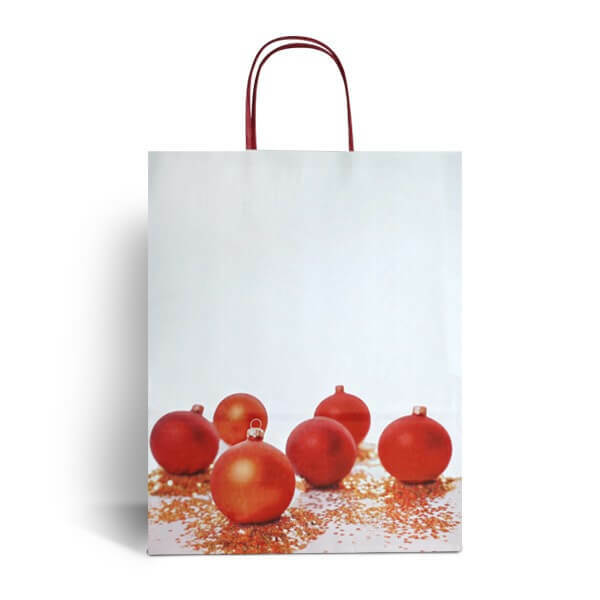 This vibrant design is a classic, festive alternative to our plain twisted handle paper bags. These bags are great for the Christmas occasion, perfect for gift bags or use in store this festive season. This product is available in a range of pack sizes.